Heuchera 'Harvest Lemon Chiffon'. Glowing yellow-green foliage and soft pink flowers make this a standout in the garden. 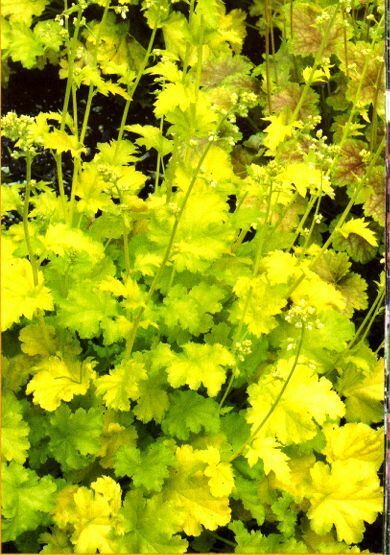 As is the case with most yellow coral bells this beauty grows best in a mostly shaded location. PP#19033. 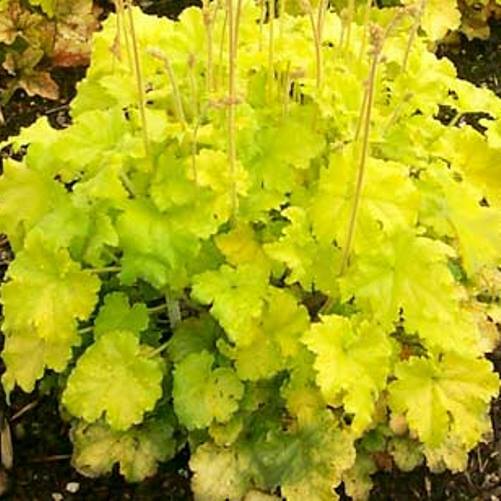 'Harvest Lemon Chiffon' differs from other similar varieties by its pink flowers and compact form. MATURE HEIGHT: Foliage 7-10". In bloom 18". FLOWER: Pale pink, early season.